Since 2004, the services of the Florida Health Information Exchange (HIE) have grown, and in 2011, the state contracted with Harris Corporation to provide some basic services to the Florida health care industry and provide functional improvements to the expanding state-wide HIE. The endeavors of this public-private partnership continue to the present day; however, as HIE services have expanded, challenges continue to be encountered. 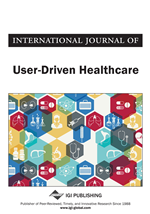 Ultimately, successful exchange of medical data requires patient engagement and “buy-in.” The purpose of this article will consider why patient engagement is important for HIE success, offer recommendations to improve both patient and provider interest, and consider the importance of online patient portals to increase the effectiveness of health record keeping and the sharing of vital patient medical information needed by caregivers and their patients. Efforts toward building a Health Information Exchange (HIE) in Florida began in 2004. The Agency for Health Care Administration (AHCA) laid the foundation for a statewide HIE by organizing health care stakeholders and providing initial funding to local Regional Health Information Organization (RHIO) projects through its grants program. Florida worked to achieve a secure and sustainable approach to health information technology adoption and exchange resulting in better health care outcomes with lowered total costs. In 2010, the Office of the National Coordinator for Health Information Technology (ONC) provided grant funds to significantly advance Florida’s plans to build a statewide health information infrastructure. Since the funding from ONC has now ended, sustainability has been at the forefront for HIEs across the country, including Florida. The purpose of this paper is to describe the current services of Florida HIE, identify future HIE goals including the need to increase patients’ access to their own health records, define the obstacles to goals, and offer recommendations to overcome obstacles and reach the desired goals. As networks are established throughout the state, the ability of patients to access health information becomes an added benefit for the citizens of Florida. As has occurred throughout the nation, privacy concerns have been at the forefront of all networking efforts in Florida. In addition to describing the current structure and services available, the ways the Florida HIE can improve communication and engagement with patients will be explored. The initial goal of the Florida Health Information Network (FHIN) was to provide a data set consisting of hospital inpatient and outpatient encounters including laboratory results and diagnoses, as well as medications and demographic information (Rosenfeld, Koss, Caruth & Fuller, 2006). One of the major obstacles encountered in implementing a statewide network was legal and regulatory issues surrounding existing privacy laws (Rosenfeld, et al., 2006). In March 2010, the Office of the National Coordinator (ONC) announced the State Health Information Exchange Cooperative Agreement Program awardees as part of the Health Information Technology for Economic and Clinical Health (HITECH) Act. Florida received $20,738,582 (HHS, 2012). Following an Invitation to Negotiate, this federal funding resulted in Florida awarding a contract to Harris Healthcare Solutions (hereafter referred to as “Harris” or “Harris Corporation”) to create the Florida HIE infrastructure. Through the Agency for Healthcare Administration (AHCA), a designated state entity, Florida looked to Harris to create a Florida Health Information Exchange Infrastructure under the ONC funding. The infrastructure includes open-source technologies where appropriate and gives the highest priority to privacy, security, and interoperability with existing and future electronic patient medical records. Agreements that establish the obligations and assurances between the FHIN, Harris Corporation and other health care organizations in the network were created for the exchange of health information (AHCA, 2011). Consumers are given the ability to explicitly grant permission for disclosure and use of sensitive data as required by state and federal law through the use of consents and authorizations. In the event of a medical emergency when the patient or his/her legal representative is unable or unavailable to authorize access, the participant user may access the information. Written documentation in the patient’s record immediately following the disclosure is required by the requesting participant user.